We offer a wide range of development products to make building complex business database applications easy. For years our primary objective has been to develop high-quality web business solutions and technology through IBM Informix and DB2 database engines. Studio Axional Studio Develop your business applications on the web. Rebuild legacy 4GL applications. 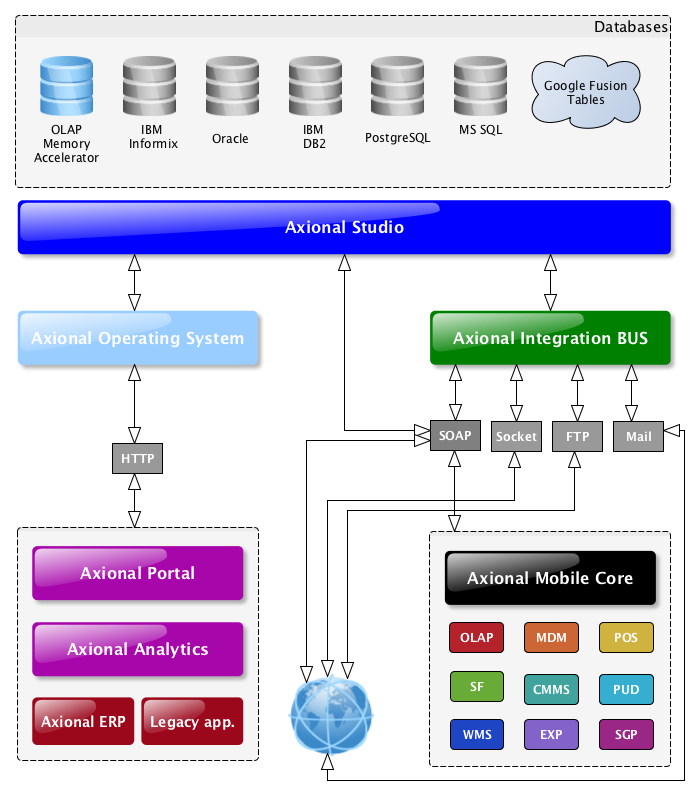 Integration Bus Axional Integration Bus Provides connectivity and data transformation between suppliers and consumers. VLDB Axional VLDB Foundation Toolset for the management of large databases: Blob offloading, RBS (remote blob storage) and Secure Hash Algorithm for horizontal partitioning.